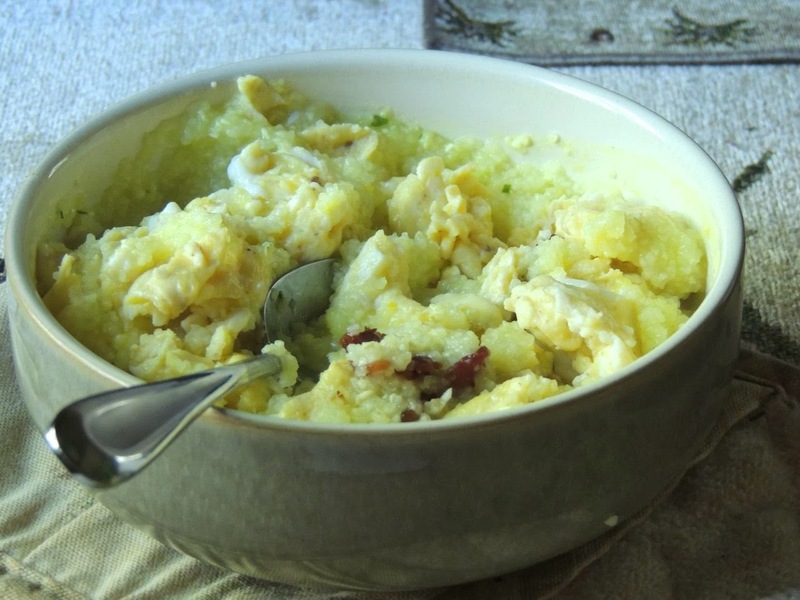 My husband grew up in the south (Texas near the gulf), and in the south, they eat grits. According to a recent episode of the CW show "Hart of Dixie," grits are an "acquired taste." I didn't grow up eating grits. In fact, I never tasted them until this morning. My husband makes eggs and grits for breakfast for himself almost every morning, but I always have something else (like just eggs, no grits). Today, I was curious and asked if I could have a bite. They taste kind of like cornmeal. My husband said that grits are kind of like oatmeal in that they don't taste great unless you add stuff to them. 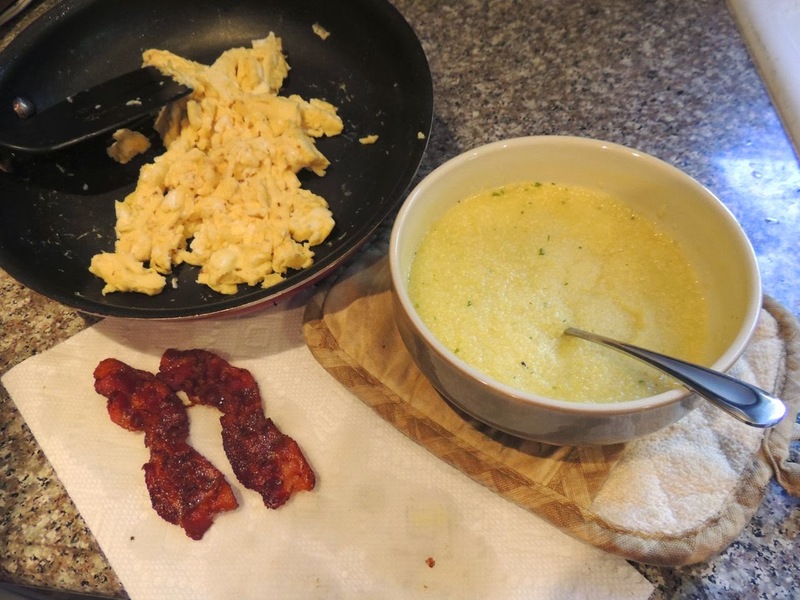 So, perhaps what I tasted this morning is better than what you'd typically consider "grits." My husband definitely adds stuff to them. If you're from the north like me and want to try grits, or if you're from the south like my husband and want a very flavorful new recipe for grits, check out my husband's recipe for grits and eggs. Fry the bacon until crisp. Then transfer the bacon to a paper towel to cool. 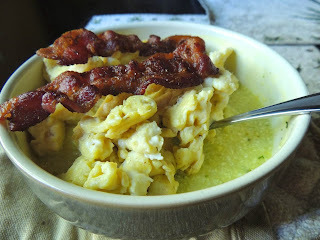 While the bacon's cooking, mix the grits and chicken broth in a bowl and microwave for 30 seconds. Stir. Repeat until no longer soupy, about 3-4 minutes or 6-8 intervals. Put the eggs and bacon on top of the grits. Add TexJoy to taste, and stir.